Keep on sending your song /compilation requests in facebook account or through mail.We will try our level best to fulfil all such requests ,which will also help and encourage us to expolre more about musical works of S Janaki!! S Janaki sang several song to Sekhar, a veteran music director in malayalam. His son is none other than one of the most succesful music directors of our country AR Rahman.She continued to work with him also for some rare occasions. Janaki – Rahman , A win – win combination which received accoladess from critics and audience alike .Though few in number ,all songs were big hits and went on to rock the charts! Presenting a compilation of such rare and real hits in Tamil,Telugu & Hindi. 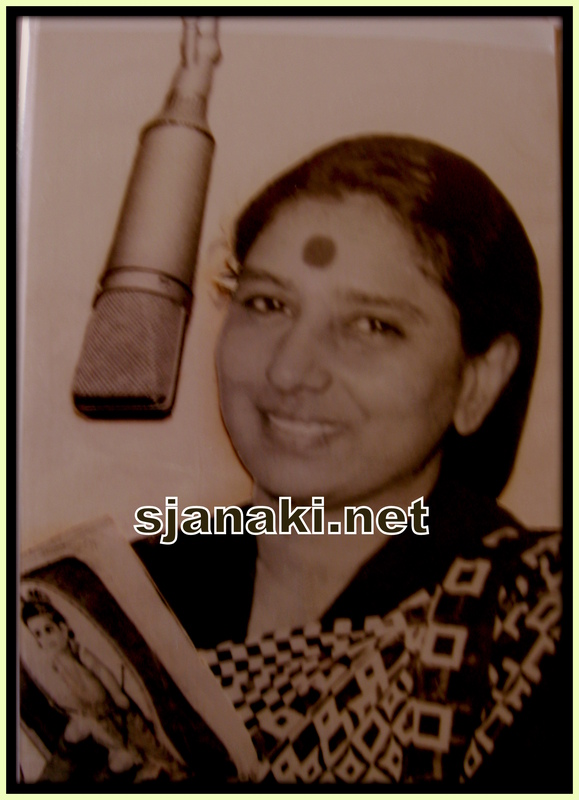 Janaki sings for RahmanClick Here..
Bappi Lahri visited Ilayaraja’s studio and listened to Janaki ‘s Hindi song for a Tamil movie (Nandu). He asked the recordist ..”Who is this girl ..?”. Then recordist replied saying that she is not a girl but an elderly lady and a well known South Indian singer S Janaki . Bappi lahri started working with S Janaki from then and he gave her several songs in his Hindi and south Indian projects as well.Lakshmikanth-Pyarelal duo worked with Janaki for South Indian versions of their Hindi movies and were well acquainted with her singing skills .They also started giving her hit songs in their movies along with Bappi Lahri. In mid 80′s S Janaki became voice of Sridevi , Jayaprada and other south Indian heroines in Hindi movies for a period of time .Apart from them , She gave voice to Hema malini , Rekha , Madhuri Dixit,Juhi chawla,Meenaxi Seshadri and others in some songs.We are receiving several requests from dear visitors of our website to add her Hindi songs .Added a compilation of 25 Solos and 25 duets with various singers. Hindi Melodies of S JanakiClick Here..
Ushakiran movies constantly gave excellent musicals in 80′s and S Janaki sang in most of their movies in that period as lead playback singer .Movies like Srivariki premalekha , Mayuri , Prathighatana, Ravoyi chandamama,Kanchana ganga had hit melodies by S Janaki. Due to this relationship , she accepted to give music to their project “Mouna Poratam” ,which added glamor to the movie publicity in those days. Mouna Poratam Only movie with Music by S JanakiClick Here..